The gestures the women recalled include inhaling the hair of former Nevada lawmaker Lucy Flores and kissing the back of her head; rubbing noses with former political aide Amy Lappos; resting his hand on the thigh of sexual assault survivor Caitlyn Caruso during an event on sexual assault at the University of Nevada, Las Vegas, and hugging her “just a little bit too long”; and, last but most likely not least, dropping his hand down the back of writer D. J. Hill at a fundraising event in Minneapolis. The third women, Ally Coll, was a Democratic staffer working at a reception when she was introduced to Biden, who, she said, “leaned in, squeezed her shoulders and delivered a compliment about her smile, holding her ‘for a beat too long,’” the Washington Post reported. No men have come forward, but all of the women have said Biden’s unwanted behavior wasn’t sexual but made them uncomfortable. Biden is leading the 2020 Democratic pack in polls though he hasn’t officially announced his bid. He was expected to announce his run later this month. After Flores suggested Biden be disqualified from running for president, a number of women came to his defense, including House Speaker Nancy Pelosi. “It’s the way I've tried to show I care about them and I’m listening,” he added. After Biden’s response, actress and #MeToo activist Alyssa Milano, who rallied against then-Supreme Court nominee Brett Kavanaugh when he was accused of sexual assault, tweeted her support for Biden, writing, “My friend, Joe Biden” along with his video statement. In an effort to explain his actions, Biden in his video referenced personal tragedies he had suffered, like the loss of his first wife and baby daughter in a 1972 car crash and the death of his adult son Beau to brain cancer in 2015. 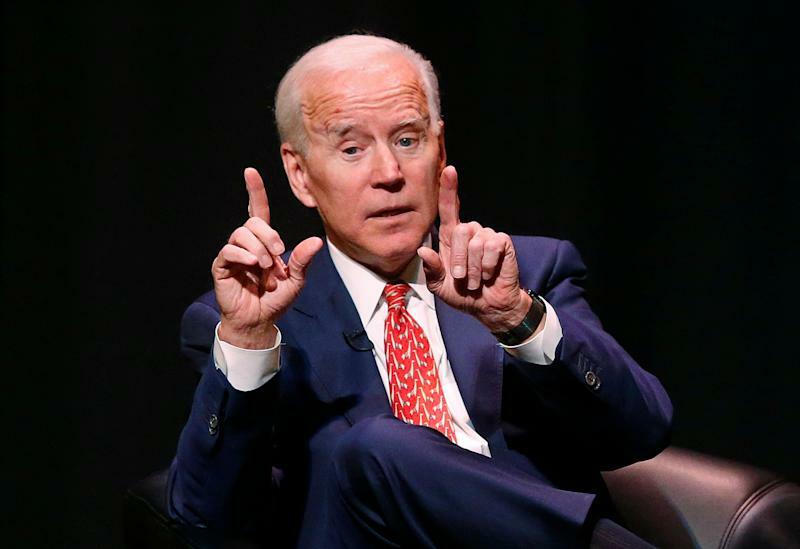 The accusations have not only led to questions of Biden’s fitness to lead a progressive Democratic Party into 2020, but also gave legs to claims that the 76-year-old is behind the times of the #MeToo movement — an accusation Biden rejected.